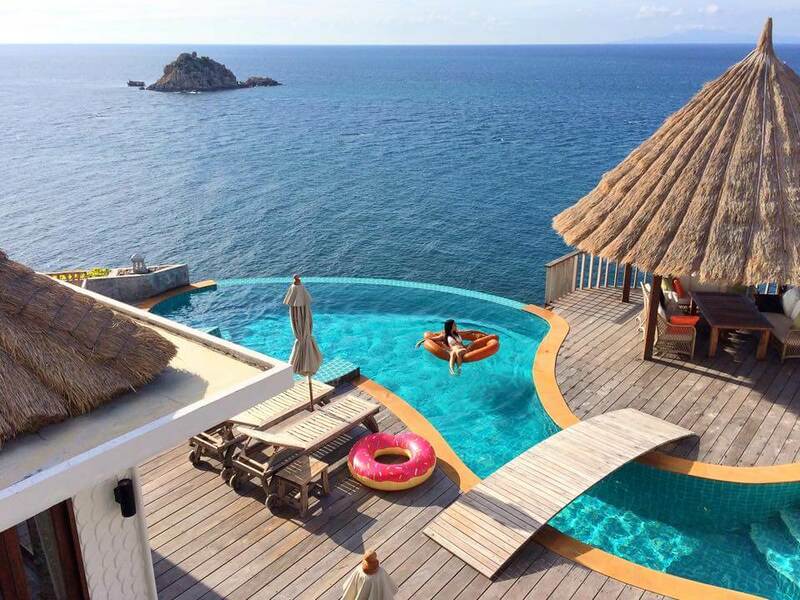 Koh Tao [เกาะเต่า] or Turtle island is a small island in Thailand located near the western shore of the Gulf of Thailand. It is located 45 kms north of Samui island in Surat Thani province and 40 kms east of Chumphon province. Koh Tao was once a detention place for political prisoners, but today it is one of Southern Thailand’s true tropical island escapes and scuba diving destinations. Over the last decade or so, this tiny jewel has become more and more popular among divers and people learning to dive. 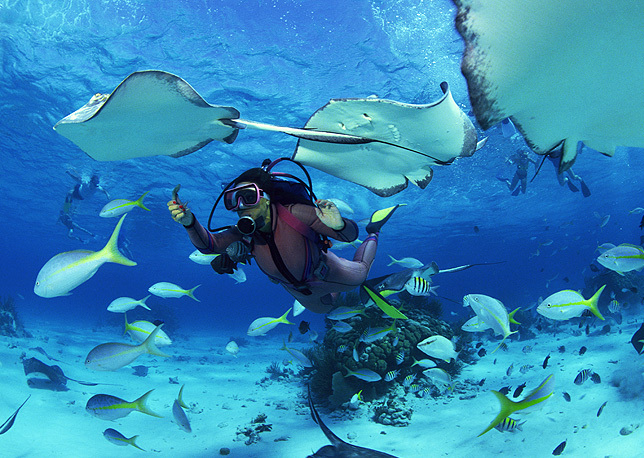 It has dozens of dive centers and the largest number of Padi certified divers of the world after Cairns in Australia! Peaceful morning in Koh Tao. Koh Nang Yuan can be seen from Koh Tao. The beaches around the island are some of the finest in the south, particularly Haad Thien (Rocky Bay), Tanote Bay and Sairee Beach. 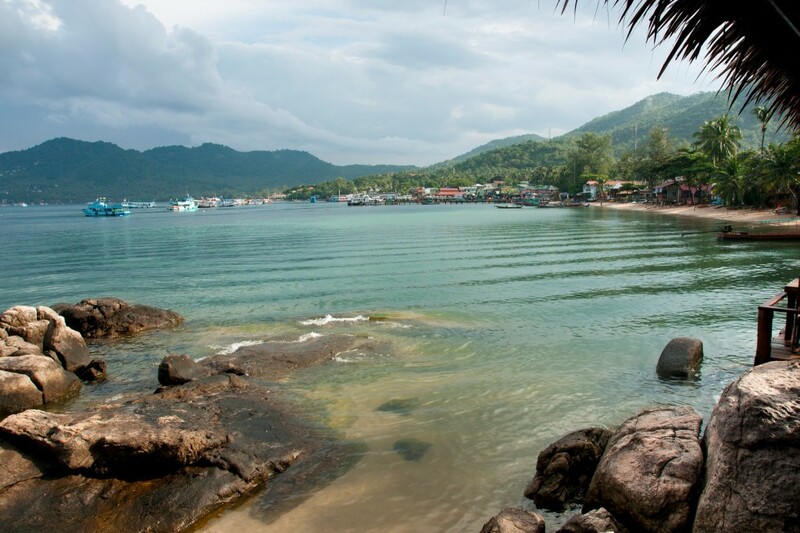 The weather is hot and humid in Koh Tao throughout the year. The air temperature ranges between 28 °C to 32°C. The Peak Tourist season runs from December to March and July, August. During these periods, it is better to book in advance. Especially during Christmas holidays, hotels and resorts are often fully booked months ahead. The Rainy Season runs from September to November. 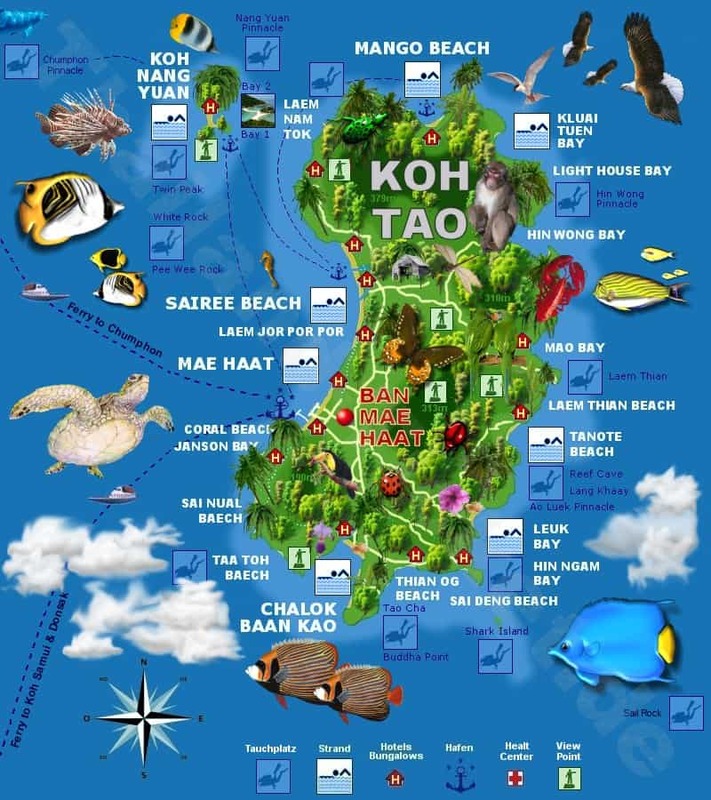 Late November / early December is the low season where many Koh Tao dive resorts close down for a couple of weeks. Water visibility can be reduced by 30 % after heavy rains. Monsoon is mostly short two hour downfalls in the late afternoon but there are also rainy days. The Best time to visit Koh Tao is in May and June when the weather is not too hot and there are less tourists. The only way to reach Koh Tao is by boat either from the coast or neighboring islands. Basically, the fastest (and, not suprisingly most expensive) way to get to the island from Bangkok is by plane. Option 1: fly from Bangkok to Chumphon and then take a high-speed ferry to the island. It takes about 5 hours. Recently, Solar Air has opened up a flight from Bangkok to Chumphon on a small plane. There is one daily flight except for Sundays. Option 2: fly from Bangkok to Koh Samui. There is an airport in Koh Samui with frequent flights from Bangkok International airport, Suvarnabhumi. The reliable airlines are Thai Airways, Bangkok Airways and Bangkok Air. Once you are in Koh Samui, you can take the comfortable high speed catamaran boats to reach Koh Tao in just one hour. There are two boats daily. 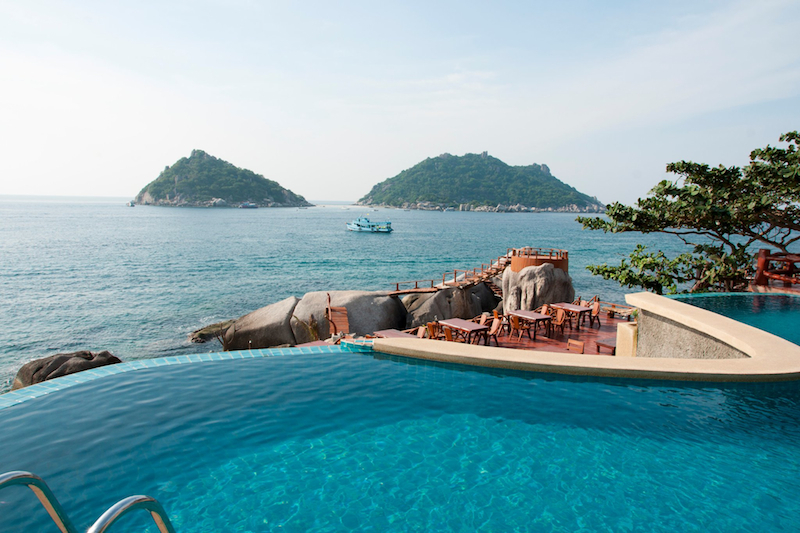 It is also possible to explore Koh Tao on a day trip. In fact most of the diving centres in Ko Samui are diving around Koh Tao and make the one hour trip every day. The slowest (and cheapest) is to take a bus from Bangkok to Chumphon and then take the ferry from there. It takes about 9 to 11 hours. You can purchase the tickets in one of the many small travel agencies. All inclusive packages Bus + Boat or Train + Boat transfer are available in Bangkok, the well known company is Lomprayah (approximately 1,000-1,200 Baht). I had such a wonderful time in this beautiful island. I rent a motor bike to go around and observe the island, I went snorkeling (decided not to take a scuba diving lesson yet) and I saw a lot of beautiful fish and shallow-water corals. I also really enjoyed kayaking. Needless to say I spent some quiet time listening to the waves and watching the sunset. My personal observation was it was very difficult to get authentic Thai food in Koh Tao, since most restaurants are catering for tourists. If you are a traveler who is used to enjoying good Thai food in the mainland you might get disappointed, but that did not disturb me much when there were so many other amazing things around. I was in Koh Tao for 4 days an 3 nights, during my stay I bought a boat tour to go around the island and we stopped by at Koh Nang Yuan, a very tiny but amazingly gorgeous island next door. I had my first scuba diving experience. It was adventurous and exciting. At the beginning I was very nervous and confused with the gear, I had to take a deep breath when I was told to take a BIG step out of the boat. Once I sinked myself under the home of marine life, there was a completely DIFFERENT WORLD. There was complete peace and silence, only sound I could hear was the sound of my own heartbeat and the sound of my breath. When I looked around, I was amazed at the infinite lengths of the ocean I could see. Unlike in big cities, where your vision is hindered by numerous obstacles, underwater all I saw was clear-cut beauty. Exploring nature is a meditation in itself. The feeling of power that you experience rejuvenates your inner self again. It was an unforgettable day, just thinking about it now bringing me an excitement. If you have never tried it before, I really recommend you to witness the depths of the ocean. It is a life changing experience. 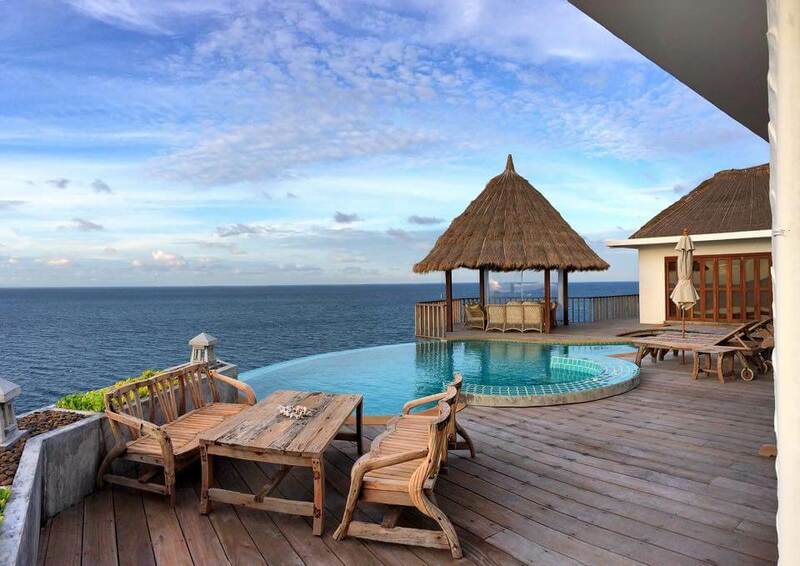 I also found a nice pool villa in a quiet corner of the island to stay, it is located on a cape between two beautiful beaches, Tian Og and Sai Daeng. 10-15 minutes drive to the main villages on the island (Mae Haad and Sairee). 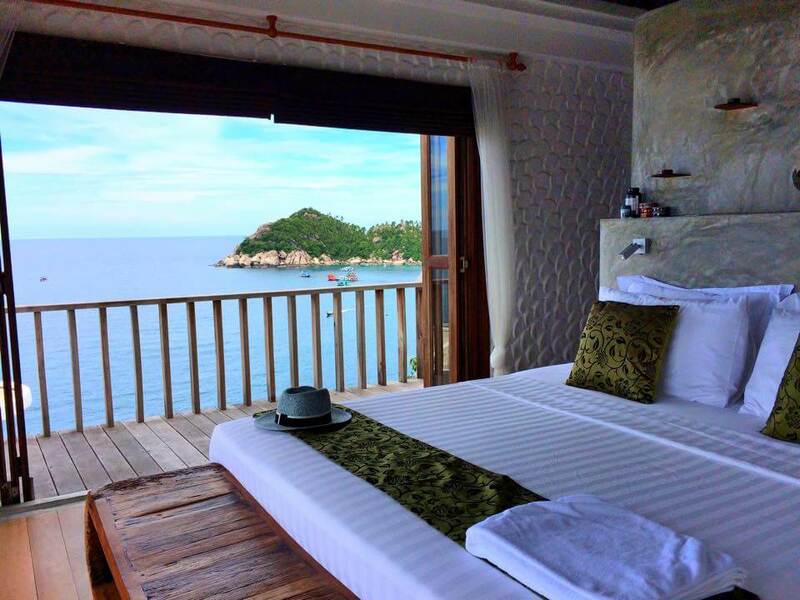 Have you been to Koh Tao before? Thank you for your interest in learning Thai with me. We teach one-to-one Thai lessons which we believe it is the most successful formula when learning a language as complex as Thai. Our in-person lessons in Bangkok is fully booked at the moment, however I would like to suggest you to try our on-line training via Skype using the same material as my On-Site training, except we do it through the web camera. The materials are in Word and PDF files which are sent to my students at the beginning of each lesson. 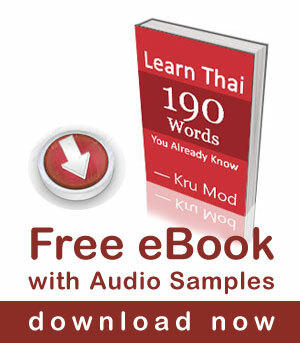 The good thing is you can start your Thai learning now from home! and then back to Bangkok for 10 days. Love your pages and videos great info all round. Many thanks for the reply, yes we had a great time and will be returning again soon, Loved Koh Tao, we stayed 4 days also had a great time in Bangkok. Yoga on an Island in thailand= heaven. OK, this will go on my bucket list.